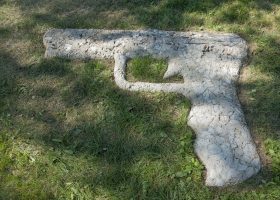 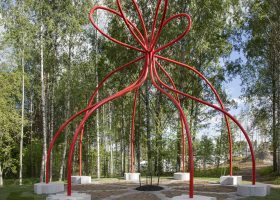 Andersson has for a long time been interested in sculptures which, besides having a visual function, also are accessible for the public. 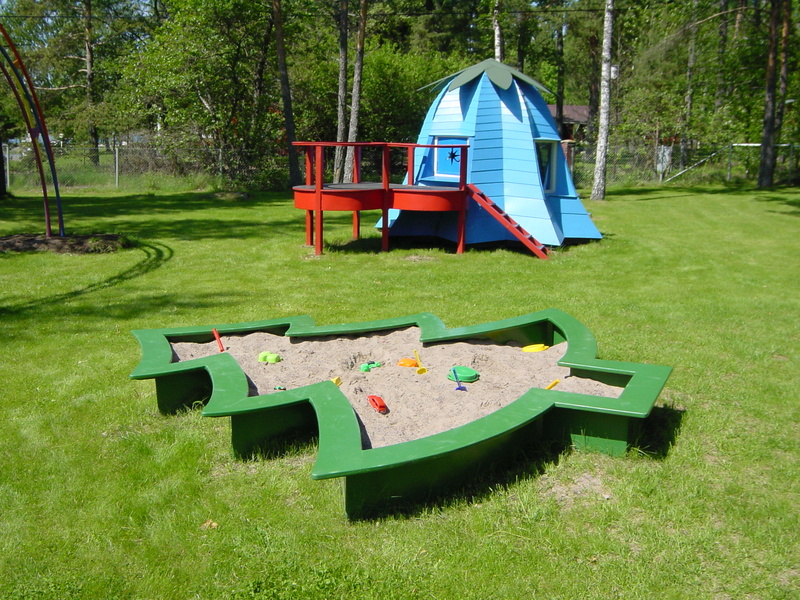 Earlier examples are the Christmas Tree Sandbox, the Last Milk Bay, the Coffee Cup House and the Bird’s Nest. 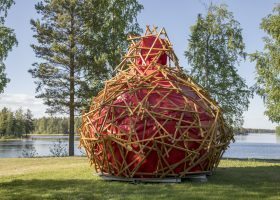 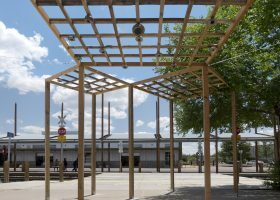 When Andersson was asked to do a playhouse for Liisa & Reijo Joronen and their grandchildren he made a proposal, which extended the concept to a whole playground, reusing and recombinating earlier concepts and ideas. The result is a small village with a playhouse shaped like a blue bell with a heart shaped terrace, a fir tree formed sandbox and a rainbow under which you can take a tour with the swing! On the top of the rainbow a guardian angel tries to protect the children. 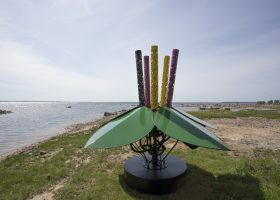 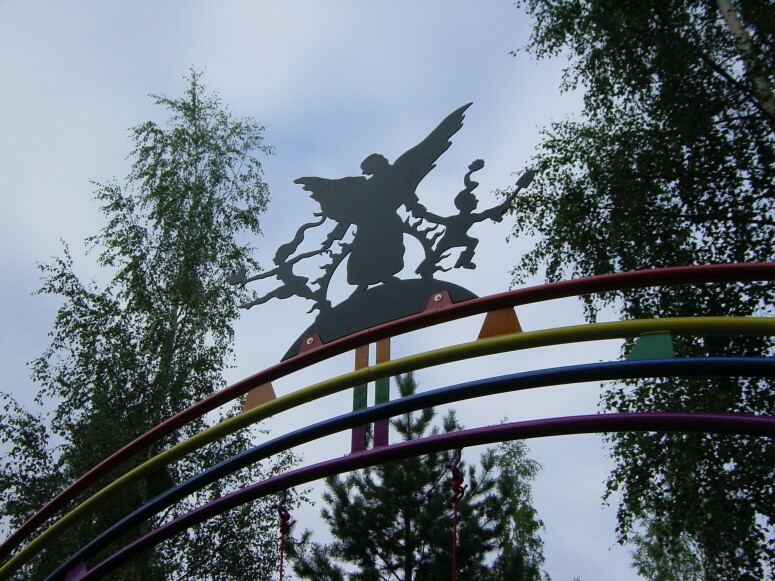 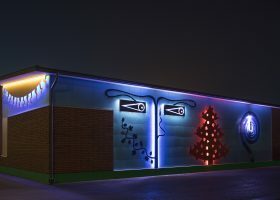 Andersson’s intention is to create architecture and sculptures, which inspires the children, and adults as well, to create their own fantasies and stories. 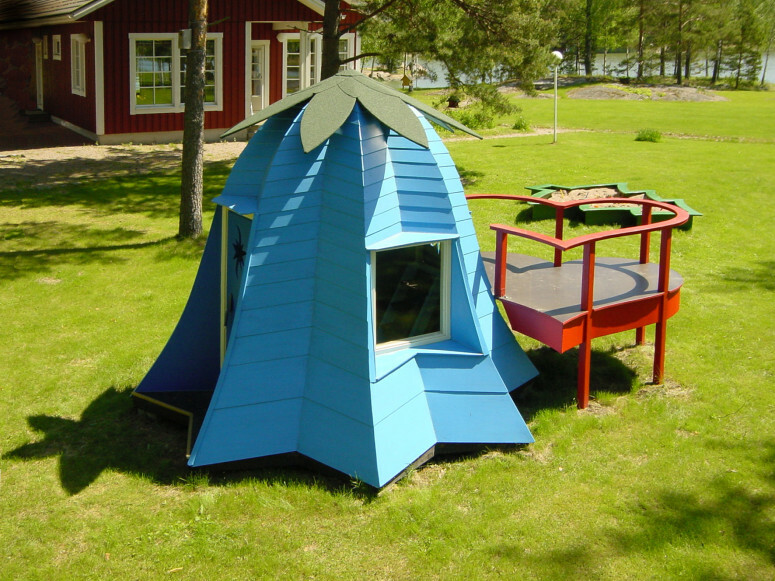 For Andersson there exist no deeper difference between fairy tale architecture and buildings where adult can live as well. 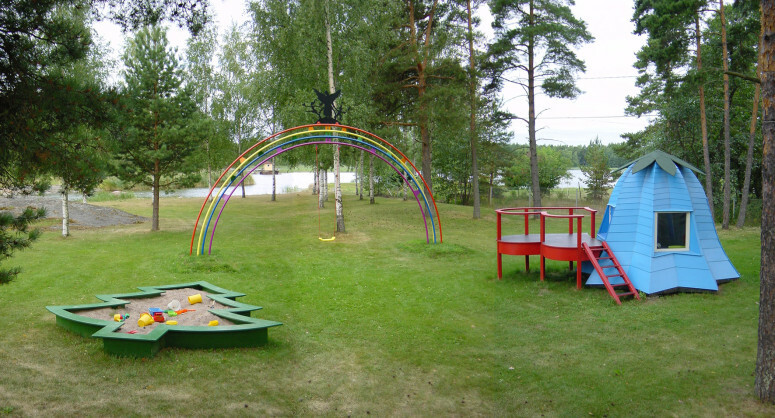 This playground could as well be enlarged to be a starting point for a housing project with buildings shaped like flowers, trees and rainbows! Ten years later the Blue Bell House can be seen as a wintergarden on the top of Andersson’s private house Life on a Leaf. 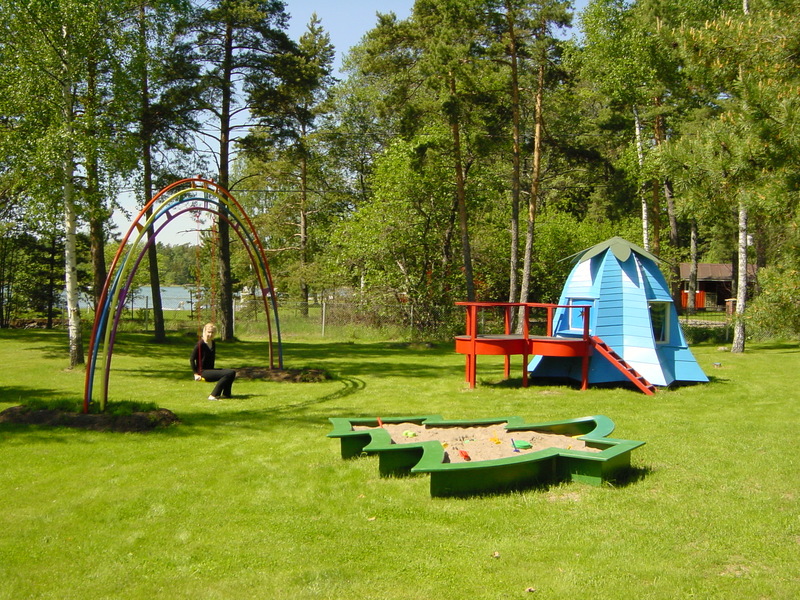 The Blue Bell House and the Christmas Tree sandbox were made by carpenter Aku Luostarinen from Savonlinna after Andersson’s drawings.